I know that at any given moment, a substantial chunk of our readers are in the process of purchasing Bugatti Veyrons. 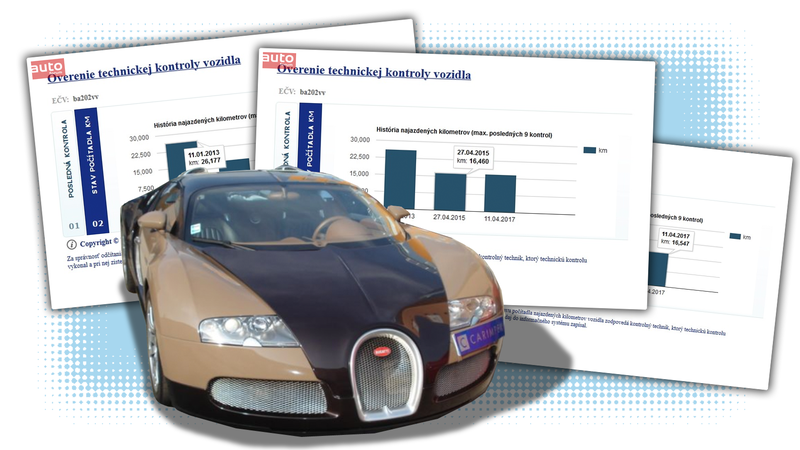 If you’re part of this substantial group, read on, because there’s a Veyron for sale in Slovakia that appears to have some sort of enchanted odometer! I say this because the car is listed as having 17,680 km, when back in 2013 it had 26,117 km! Astounding! The car is fully half of all the Veyrons in Slovakia, and is owned by Ladislav Bašternák, who is actually something of a celebrity in Slovakia. Bašternák is known for his dealings with the Slovak prime minister, to whom he rented an apartment. He’s also fielded accusations of tax fraud, and, perhaps most notably, has a habit of parking his Veyron in entrances and handicapped parking spaces, which earned him what might be the only boot ever placed on a Veyron. This one-owner Veyron, currently selling for €999,000 (that’s $1,098,640.26 in U.S. dollars) was such a good deal that the Slovak website HN Online decided to run a little license plate number search on the car, which is when they discovered that back in 2013, the car had 26,177 km on the clock, but by 2015, it was only 16,460! That’s a drop of almost 10,000 kilometers in two years! That takes a lot of negative driving on antimatter roads, or however the hell this kind of sorcery happens. As we’ve seen recently, the very idea of odometer tampering on expensive supercars is a very big deal. 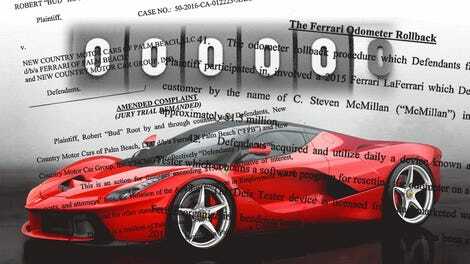 Ferrari is in the midst of a freakout regarding some high-publicity cases of odometer tampering, and even the suggestion that these cars can have odometers rolled back at all will have a huge impact on the value of these cars, where low mileage is especially prized. Because, of course, the last thing you’d want to do with one of humanity’s most advanced automotive achievements is drive the damn thing, right? So, if you’re in the market for a Veyron, and your criteria is a two-tone car where each of the colors is one end of the spectrum of healthy stool colors and an enchanted odometer that runs backwards, I think you may have found your car.